Learn great tips from an educational consultant on what to consider when sending your child to school, especially when transitions are needed. Ilene B. Miller, M.S. Ed. In an effort to help other families, the mother of a young boy who tragically drowned has provided advice on how to boost water safety. Q&A: How Do You Respond When You Suspect a Loved One Is On the Spectrum? Learn top advice from a psychologist on ways to delicately approach a friend about a possible autism diagnosis. Find simple ways to help you prepare your child for new therapy sessions and transitioning to a new routine. Don’t let being a special needs parent prevent you from forming important friendships—learn top ways you can reach out and strengthen the bonds of friendship. Discover ways creating comics strips can help children on the autism spectrum practice language, communicate, and navigate their ways in the world. A young man with Asperger’s syndrome shares his personal tips on handling bullies. A behavioral health expert explains it’s never too late for people on the autism spectrum to learn life skills and shares the benefits of multi-faceted treatment programs. Learn simple steps to organizing your child’s written education plan and/ or 504 Plan so you can easily locate vital information when working with a school. The mother of three children, one of whom is listed as severe on the autism spectrum, shares her everyday challenges with her special needs child and encourages people to reserve judgment and be kind. Find out how airline travel is evolving to accommodate people with special needs through designated quiet spaces and multi-sensory rooms at the airport. Learn about an innovative small business that closes the unemployment gap by ensuring adults with autism can live full, independent, and meaningful lives. A computer scientist shares ways his brother with ASD has influenced not only his contributions to the business world but his views on special needs therapy and education. Learn great tips on how to prepare your child with special needs for a long-term trip or move. Discover simple ways to help your child navigate the sometimes challenging road of peer relationships in the school setting. Meltdowns: Video Self-Modeling to the Rescue! Read professional advice on ways to use your iPhone or iPad to curb your child’s meltdowns. Take a look at this colorful children’s book by Rachel Jackson and Zeke Clough which paves the way for talking about autism and embracing people for who they are. Meet a mom who believed her daughter had a voice worth fighting for, a curious brain, and the ability to grow far beyond the life that experts had predicted for her. This exciting book co-written by Tara Leniston and Rhian Grounds breaks down the information you need to know to support children with autism at home. The mother of a teen with autism recalls a special moment she shared with another mother anxious about her young son’s future. The co-founder and CEO of an autism charity shares the details of an innovative treatment that opened his eyes to many ways to bring out the best in his son with autism. Reena B. Patel, MA, LEP, BCBA’s new book aims to teach young children how to build compassion and create bonds by learning how best to communicate with individuals with autism. A dynamic 10-year-old author shares great ways parents can better support a child diagnosed with autism. An author and motivational speaker interviews a man with two sons on the autism spectrum who runs a YouTube channel where families can support one another. Meet a compassionate ASD coach celebrated for his story of resilience in the face of learning and physical disabilities who works with clients using video- and text-based coaching. Learn how to plan for the future so you can retain the same level of life-long care for your loved one. The new school year is only a few weeks away—are you ready? Whether your child heads out to a brick-and-mortar school or is educated at home, change can create anxiety for many children on the autism spectrum. From new teachers and classrooms to new social groups and routines, the school day can be overwhelming. A new academic year also means you, as a parent, need to be on top of your game when it comes to securing the right learning path for your child. With the right information, you can be prepared. First, it’s imperative all children with special needs have a written education plan, such as an Individualized Education Program (IEP), designed to meet specific learning needs. 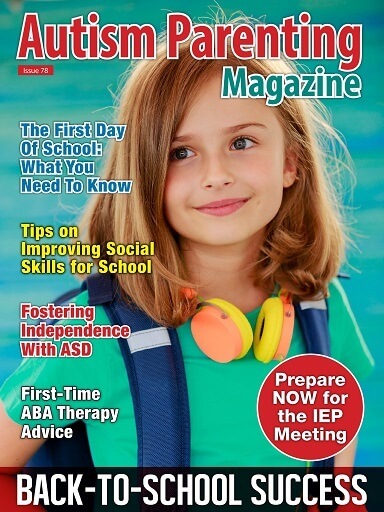 For top advice on how you can plan for this annual school meeting and stay organized, take a look at our exclusive piece, Easy Ways You Can Create a Comprehensive IEP/504 Plan Home File, by Sandy Fields, BS. Being well-prepared will not only benefit your child but also empower you when you need to access key information to help your child. 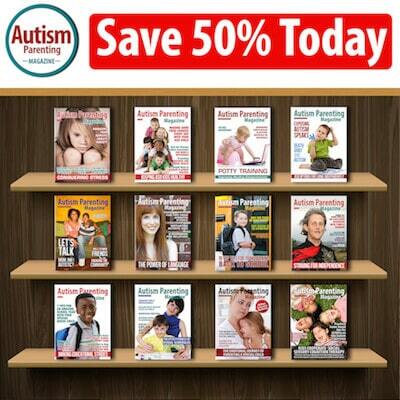 A great many back-to-school articles are written with only the child’s needs in mind. What about Mom and Dad? Parents are not immune to the anticipation and stress of a new school year! For advice on how to make this transition go more smoothly for the entire family, take a look at the piece The First Day Of School: What You Need To Know To Be Prepared provided by educational consultant Ilene B. Miller, MSEd. Since social skills play an integral part in navigating the peer relationship road, we also have a great article by Brett J. Novick, MS, LMFT, CSSW, on how to help your child make connections called How to Help Your Child With ASD Improve Social Skills For A New School Year. Brett’s pointers are sure to guide you in understanding socialization in the school forum. As I have mentioned over the years, we love hearing from you, our readers. Our staff is committed to providing the information you seek, especially when it comes to reviewing special therapies, handling transitions, dealing with sensory issues, and keeping kids with autism safe. For example, we received an email recently from a woman in search of guidance on how to best approach her adult son whom she believes is on the autism spectrum. Take a look at How Do You Respond When You Suspect a Loved One Is On the Spectrum? as APM columnist Debra Moore, PhD, explains how to delicately approach someone about the possibility of an autism diagnosis, whether it’s a friend or family member. Sadly, we received a note from another woman whose young son with autism, Raphael, tragically drowned in the family pool three years ago. Children on the spectrum are often drawn to water and often discount danger, which can become a deadly situation. In an effort to help other families, Sandra Tirone has courageously provided advice for our readers on ways to increase water safety. Even if you don’t live near a body of water and think the risk is minimal, please take a look at her article How to Protect Your ASD Child From Drowning so we can keep all kids safe. Communication isn’t always easy for people on the autism spectrum; that’s why it’s essential to find other avenues of expression. If you are looking for a unique way to help your child practice language and communication, then introduce him/her to the remarkable resource MakeBeliefsComix.com. Creator Bill Zimmerman has developed ways for children with autism to practice language and communicate better through the creation of comic strips. Please take a look at his piece How to Help Your Child With Autism Communicate Using Comics and learn how he gives kids an opportunity to express themselves. People often ask us for information on applied behavior analysis (ABA) therapy. If you are considering ABA or any other kind of therapy for your child, read Caryl Anne Crowne’s piece called 5 Great Tips for First-Time ABA Therapy as she provides simple ways to help you prepare your child for therapy sessions as well as best ways to help your child transition to a new therapy routine. Meltdowns have become another important topic for our autism families. Does your child react to disappointment or commotion with a meltdown? If so, please read Meltdowns: Video Self-Modeling to the Rescue! as APM columnist Melissa M. Root, Ph.D., provides simple ways to help reduce meltdowns using video self-modeling (VSM), a technique that relies on videos to teach your child new behaviors and skills. On a cheery note, we received the most charming letter from a 10-year-old boy with autism who said he was a published writer wanting to “bring a different perspective on how it’s important for parents to support their children.” We were thrilled to give JaMar Taylor the opportunity to express himself. Be sure to check out his piece, Take the Time To Understand Us Kids With Autism, as the dynamic young man shares ways parents can better support children with autism. And speaking of support, do you have someone who has been there for you, through thick and thin? Be sure to connect with your closest friend this month in honor of Friendship Day. To learn some good ways to reach out and strengthen the bonds of friendship, please take a look at APM columnist Deanna Picon’s piece, Seven Ways To Strengthen A Special Needs Friendship. Don’t let being a special needs parent prevent you from building these important bonds.